Well today was quite a day. I have only two pictures to show for it, but we did have some fun. We started out our day real simple...marshmallow cereal (generic lucky charms) and Pokemon cartoons from the library. I swear my kids can't get enough of skipping cartoon DVDs. I actually got to read a few pages in a new book I am reading, which has been a rarity for me lately, so I was thrilled. We then had to get ready for our day. We had plans to met my friend Allison at Joann's. Our little home school group is making pillow cases for ConKerr. It is this amazing organization where you can donate handmade pillowcases, which then get delivered to children going through chemo. I know that the pillow cases my sweet children make will be able to brighten someone else's day. Not only will they get to learn to sew, but serve as well. I want my children to reach outside their comfort zone. I don't believe they are to young to learn to reach out to others. I say the younger the better. I want them to know that their are others out there who may sick or sad. It is our responsibility to help take care of them. I firmly believe this. We are taught in the scriptures that we're to be Christlike. I feel that it is one thing to tell our children to be Christlike, and it is another thing to actually do it. Children learn by example. I am hoping that by us doing service together, they will at least see a glimpse of what our Savior sees in all of us. I can't remember who said it, but the quote goes a little something like this: "We can only truly find ourselves, when we lose ourselves in service". How true is this statement? I think it is 100 percent true. When we fully immerse ourselves in God's work, we then can be a beckon of his light, where others will see Christ through us. This is something I want to teach my children. Anyways, I am sorry I went out on a tangent there, I just feel pretty passionate about teaching them service. Over the next while I have a few projects to share that we have done to serve lately and I hope by sharing you too will be able to serve as well. Now back to our day of making a Haven. After our Joann trip we had friends over to play, went grocery shopping, and came home to dinner and a movie night. My plan was to watch Ghostbusters, but I guess I imagined that we owned it. I am the only on in our family that remembers buying it. I guess I made it up. Because of my relapse in memory we settled for a classic Harry Potter and the Prisoner of Azkaban (Widescreen Edition. It is a favorite in our household, as are all the potter films. I made rice krispie treats for dessert. Something I haven't made in almost a year. Somehow I always forget to think of making them. Man they are yummy. I have completely over done it by eating three, but boy were they worth it. It is now late and I am ready for bed. This week of focusing on Making our homes a Haven has been an awesome experience for me. 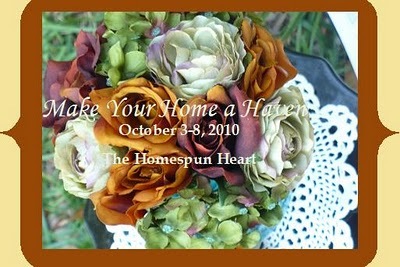 I don't think that Making your home a Haven depends on entirely whether or not our houses are clean. That is not what is important. Should we try to keep a clean house? Absolutely, but not at the expense of our children. They are only going to be this small once. Every day they get older. Our time with them now is precious. Being a Mother is the greatest calling that we have been given by God. The way we choose to answer that calling is enitrely up to us, but we will be held accountable for it. I want to be able to look God in the face and hear him tell me I did a job well done. I want my children to look back when they are older and have fond memories of the time we spent together. I want them to know that not only their mother and father love them, but their Father in Heaven as well, and that He knows them. I pray that each day I can listen to the spirit. I pray that I will not think about what the world expects of me as a women and mother, but what my Heavenly Father expects of me. It is his judgment after all that I truly care about. Not whether or not someone claims I am a"bible thumper" or a "little too Mormon" I am Christian and I am proud of it. I pray for us all to have a blessed weekend and that we will spare a few moment for Christ, he has only given us his life. Your pillowcase project sounds neat. I have been really burdened to try to be imitate Christ in the helping the "least of these" too. It so neat when you can find a neat way where the kids can be invovled too. I love this post! You and I have very similar thoughts on being a Mother. It IS the greatest gift to me. And I cherish it. Thanks for opening up with your thoughts. And I am very interested in doing something with my boys like the pillow case thing you guys are doing. But I don't have a sewing machine. And other ideas? I agree that children are never too young to start knowing how to serve. I look forward to coming back to your blog.